The May/June 2017 issue of PAR has a Perspective article titled, The Disappearance of the Public Sector? 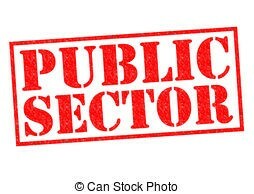 Public sector values emphasize social justice, fairness, equity and quality of public services as opposed to efficiency. Over the last 25 years, the public sector has adopted efficiency as a primary value overpowering equity and effectiveness. Contracting out government services threatens public values. Government is increasingly adopting the language of business and the measurements of business. Some believe the private sector is a way to deconstruct the public sector. The PA community should help the public understand the dangers of excessive reliance on the private sector. Some people are concerned about possible threats to democratic institutions in the U.S. I agree private sector language is increasingly adopted in the public sector. At my federal agency, we often spoke of the “business lines” instead of the “program lines.” We often used the term “business” to identify the concerns of the program staff as opposed to the concerns of the professional IT staff. But we simply cannot say public sector values always emphasize social justice, fairness, equity and quality of public services. There are clearly governments on this planet that have little regard for these values. The public sector of a country does not inherently have these values. HUD also lists a number of contracting opportunities on its website. Contracting out government work to private businesses or nonprofit entities doesn’t necessarily mean there is less emphasis on public values. Contractors must comply with all terms of their contract. In the last years of my federal career, I worked closely with contract employees as well as with contractor organizations. At my agency, contractors were heavily used for IT support and also for project management, development of training programs, website development, data analysis and management studies. The contractors I worked with all understood their efforts were in support of the public sector. The primary quantitative measures at my agency were quality and timeliness of service. I don’t recall any efficiency measures at the program level. But why shouldn’t the public sector use efficiency measures? Why would any administrator want less output than could be achieved with the resources at hand? It’s pretty obvious that efficiency matters down at the individual worker level. If a worker cannot produce enough work to meet his or her job performance standards, then he or she can’t remain in that job. The same is true for small work groups and large work groups. They must produce sufficient outputs or the organization cannot succeed. For some reason, the focus on production and efficiency is controversial within the PA community. Is there any evidence of substantial shrinkage of the public sector? Government consumption and investment expenditures in real terms in the U.S. are down about 6 percent from 2009 to the present per BEA Table 3.9.3. But total government spending at all levels in the U.S. for 2017 is around $6.3 trillion out of a $19 trillion economy (see BEA Tables 3.1 and 1.1.5) and the administration is proposing a $4.1 trillion federal budget for 2018. These numbers do not reflect a disappearing public sector. Because the administration proposes to cut many programs, its 2018 budget has been pronounced DOA (dead on arrival) by members of both political parties. It remains to be seen if there will be any net reduction in programs or spending at the federal level for 2018. If so, such changes need to be seen in the context of gradually increasing government programs and spending over many decades. In recent years, several major new federal programs have been enacted: Medicare D, Obamacare, the Dodd-Frank Act and environmental regulations aimed at reducing U.S. carbon emissions. It’s true the current administration is rescinding or attempting to rescind many environmental and other regulations, but the House proposed substitute for Obamacare, the AHCA (American Health Care Act), reduces insurance benefits for low income people but provides tax credits ranging from $2,000 to $14,000 per family that extend far into upper middle class (the phase-out for joint filers would only begin at the $150,000 income level). While some provisions of Obamacare may be rolled back, it is unlikely there will be a return to the pre-Obamacare level of government funding and involvement in health insurance. The administration’s proposal to move air traffic controllers to a government created non-profit organization will not reduce the public sector. There may be individuals who fantasize about “deconstructing government” but there is little evidence that this is actually happening in the U.S.
Democratic institutions appear to be eroding in some countries with attacks on the press, jailing of political opponents, extra judicial killings, etc. These threats are real but I don’t believe they are related to increases or decreases in the size of the public sector.